What work must we do in the wake of death? Where do we begin, how do we proceed to face death? 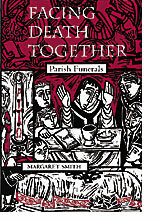 To face death together as a parish? Here Margaret Smith helps you to begin to answer these questions by exploring the riches of the Order of Christian Funerals.